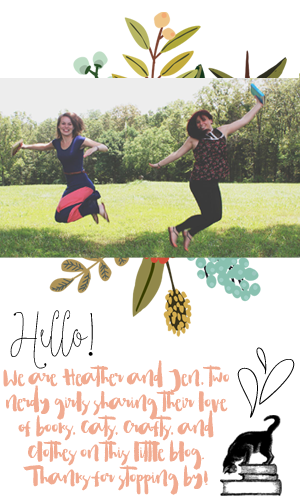 Hey book friends! Also hey regular friends! We don't discriminate against friends here. June was full of rereading the first 3 Harry Potter books and it was magical. I feel like I remembered a lot of the first 3 books, but I did rewatch the movies as I finished the books and was surprised at all the changes I didn't realize were changed or removed from the books. It was a fun experience. I also found myself reading a lot on my lunch break and between calls at work and got to find out a lot of coworkers are Harry Potter fans too! I'm literally always down to fangirl about things I love, especially Harry Potter. For July we are reading Harry Potter and the Goblet of Fire and Harry Potter and the Order of the Phoenix. These books really ramp up the Voldemort action and start getting intense. I'm really stoked to get started. 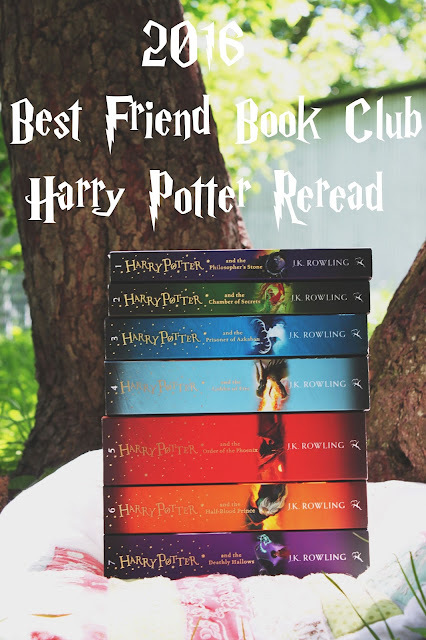 I always have to wait until the first of the month to start the next book club selection and I've been waiting for like 10 days to get back into the Hogwarts frame of mind. It's not to late to join in and read along with us! 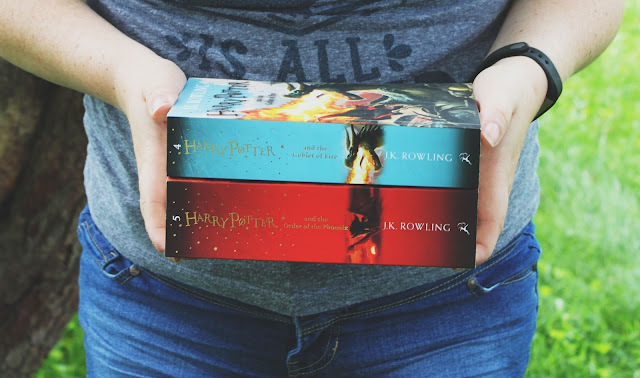 We seriously want to chat about anything Harry Potter related, even if you aren't rereading them right now! Happy reading friends!